Although a rash from the swimming pool and chlorine rash have similar symptoms, they have different causes. Below, we examine swimming pool rash and chlorine rash, their effects on the skin, and possible treatment options, so that you or your children can enjoy pools and hot tubs safely and comfortably this summer! What Is Swimming Pool Rash? Swimming pool rash (also called swimmer’s itch) occurs when the disinfectants in swimming pools break down and expose swimmers to pseudomonas bacteria. A person may also contract swimming pool rash from hot tubs and marshy swimming areas. Unlike swimming pool rash, chlorine rash is caused by exposure to chlorine (the disinfectant used to rid pools of bacteria). The symptoms of both chlorine rash and a rash from the swimming pool typically disappear within a few days. Over-the-counter anti-itch medication or lotion can help relieve some of the itchy dryness that accompany the rash. If the symptoms do not ease in a few days, or if you or your child show signs of infection, you should consult with a medical professional. 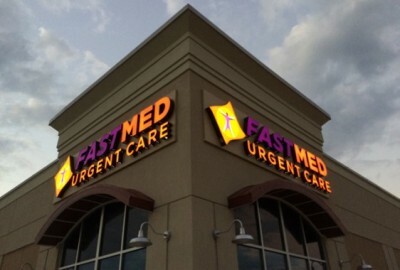 FastMed Urgent Care is committed to ensuring every patient receives the care he or she needs. We offer compassionate healthcare at an affordable price, and we aim to get you in and seen by a medical professional in under an hour. We also help keep costs down by offering a special Discount Program. If you think you or your child are experiencing symptoms of swimming pool or chlorine rash, visit a FastMed Urgent Care near you today!